Beinong Fruit Sugarcane Processing Workshop is located in Chengtai Village of Shanglin County, which is well-known as the “Hometown of Sugarcane”. 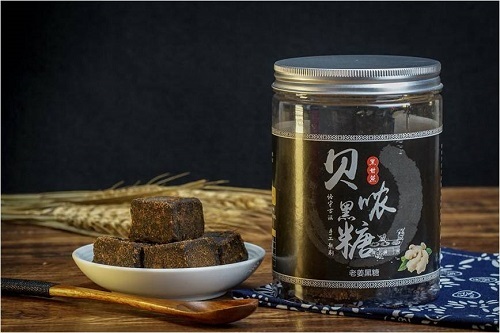 “Beinong Brown Sugar” is made from locally grown fruit sugarcane (black sugarcane) which is boiled in the “Connecting Pot” on the “Straight Wind Stove”, an ancient technique. Since the finished brown sugar refined by 18 traditional techniques retains the sugar and trace elements which are beneficial to the human body, it has the nutritional value incomparable by industrial sugar, especially suitable for pregnant, elderly, children and women to replenish “Qi” and nourish blood. It is known that Beinong brown sugar is purely handmade, instead of machine production, so the output is not very high. Currently the annual output is 2,5000kg or so, as the daily making is 150kg, and there is six-month production cycle a year.